This is the seventh session of the reading group. 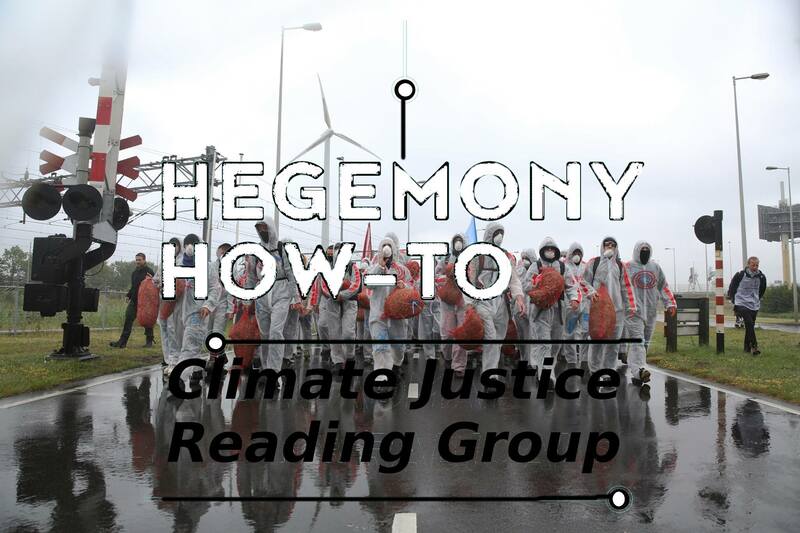 We started out by reading and discussing Jonathan Smucker's 'Hegemony How-To'. We now moved on to other to other readings and have the readings for each session printed out in zine-form. The topic of this session is on consensus decision-making. We will also eat again together beforehand at 18:30, let us know if you are planning to join! It is is time to talk strategy. Despite the growth of the climate movement, and unprecedented mass civil disobedience in the Amsterdam harbor, we are still a marginal force and probably nowhere near where we ought to be. So let’s get together and discuss the most important (but usually neglected) question: how do we change the world? How do we grow on numbers and diversity? How do we activate potential allies and politicize people we do not yet know? And what should be our next steps? We do not have to agree on all the possible answers to these questions. But if we are serious about becoming a movement that’s capable of averting a catastrophic climate breakdown, then it’s time to have some collective strategic discussions and sharpen our analysis. This is a horizontally organized reading group that is open to all. Especially people that are involved in radical political projects or the climate movement are encouraged to join. We plan to continue with collectively determined readings after this book. You can also join for dinner at 18:30 prior to the reading group, please send an email to cja_readinggroup@riseup.net to make sure there is food for you.